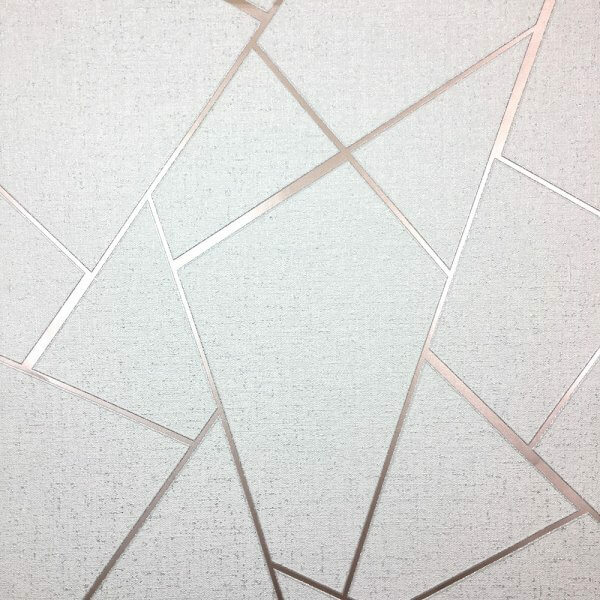 Quartz Fractal Wallpaper is a stunning modern geometric design embossed with a rose gold metallic finish. 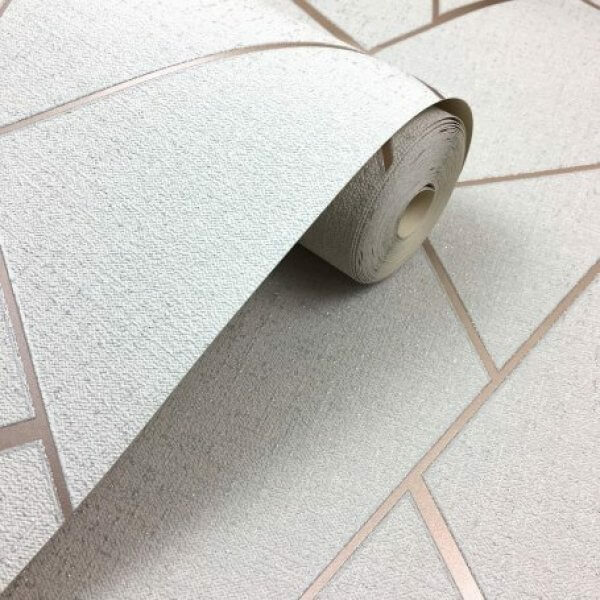 With a complimentary pale beige background which is highlighted with glitter detailing, this stunning wallpaper would make a fantastic feature wall design in your home! The Quartz collection by Fine Decor continues to go from strength to strength with this gorgeous new arrival Fractal! 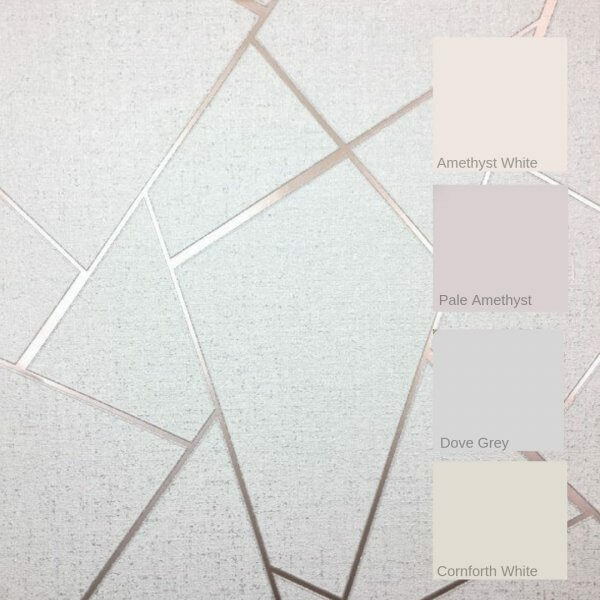 This ultra modern rose gold geometric design is printed on to the textured background which is overlaid with glitter to give an effective finish for your walls. 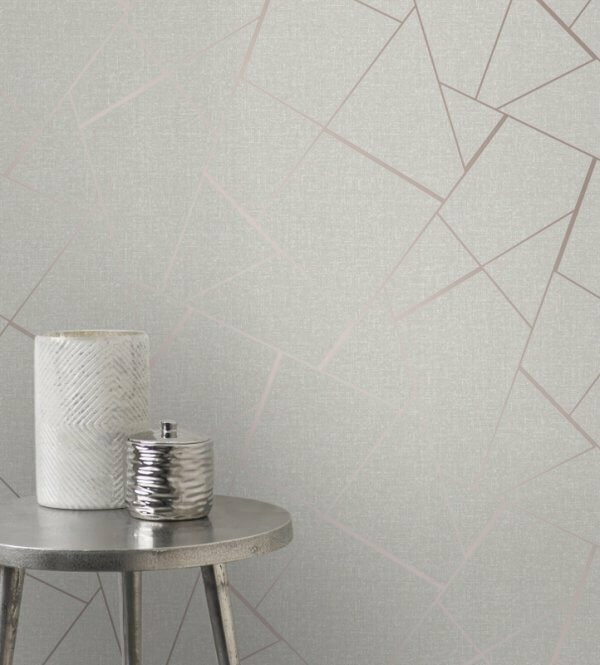 The fractal geometric design is embossed into the wallpaper in a stunning rose gold metallic finish giving it an effective 3D style. Suitable for use throughout a room or to make a statement feature wall, you won't be disappointed with this stunning wallpaper!